Boots Hayfever Allergy Relief Tables – I’m renowned for my loud sneeze at this time of year! Effective @ 99p. Elete Drops – Performance optimising electrolytes. Optimise your hydration during heavy training @ £6.90. @holland_barrett Skin, Hair & Nails Formula – For healthy hair, skin & nails. Hard as nails @ £7.69 for 60. @holland_barrett Good N Natural Echinacea Capsules – If under the weather, keep illness at bay @ £9.59. 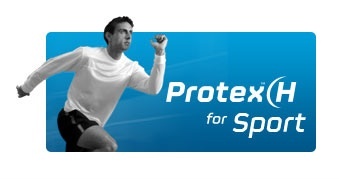 @ProtexH Protex-H – Extract of prickly pear speeds up recovery during strenuous activity e.g. marathons @ £25 for 12. 5 supplements to promote health & well-being every day & during training but which kicks the others into touch as today’s #GTopSpot?